I was fortunate enough to get a Taranis QX 7 for testing. 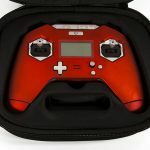 A huge thanks to Quadkopters.com for letting me borrow it to share this review! 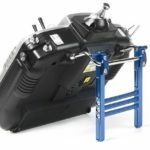 If you are in India and you need a radio, check them out before they sell out! Note: The Q X7 is compatible with all FrSky receivers. 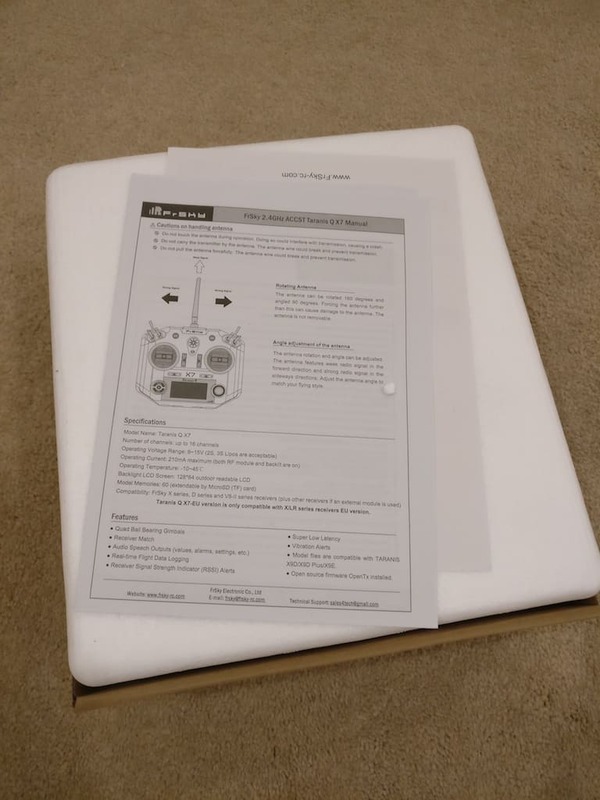 Opening up the box, you’re greeted with manuals and stickers(!). 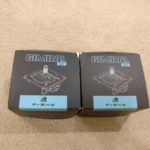 The radio is packaged pretty much like any other FrSky radio – encased in styrofoam, and inside, there’s the radio and a lanyard. I had seen pictures of the radio on the internet, but seeing it in person, you really notice how striking the design change is. 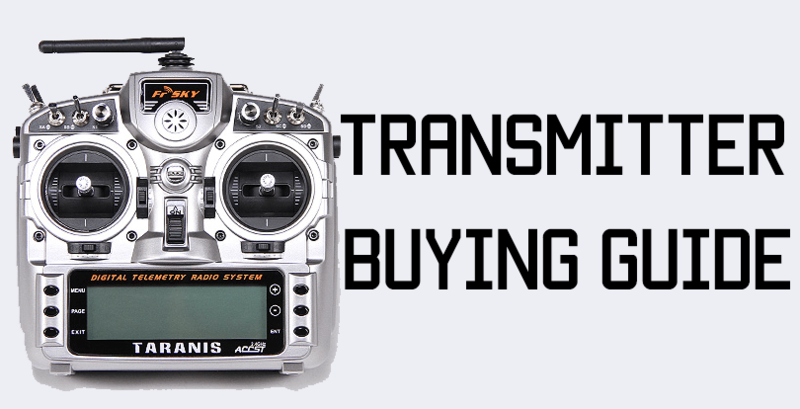 Most traditional radios like the Taranis X9D and the Spektrum ones follow a particular design pattern, and you can see right away that the QX 7 is a whole new design. It looks much more futuristic, it’s wider, thinner, and the surface is much flatter, moving away from the Taranis X9D’s more curvy surface. 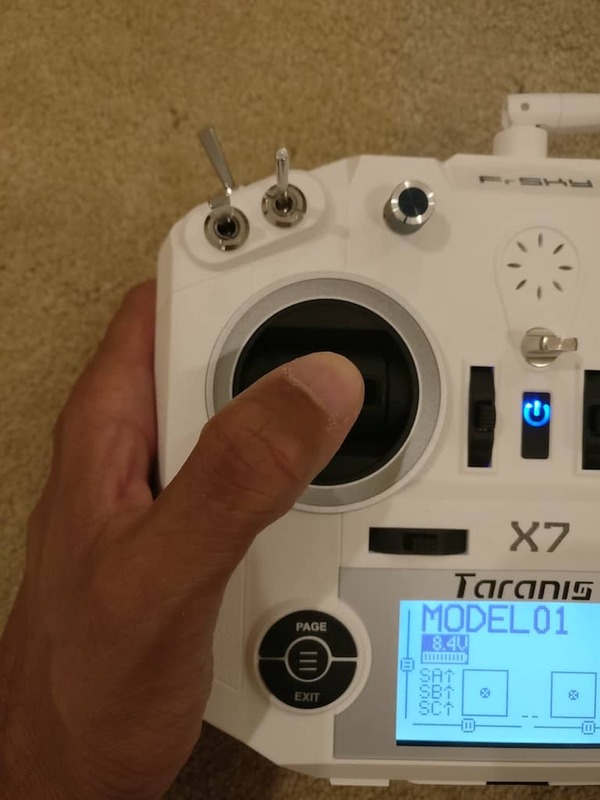 The screen is smaller than the Taranis X9D’s screen, and the button system has also been overhauled. The left side has the same page, menu(three lines), and exit buttons, and instead of the three buttons on the right, you get a scroll wheel and a large center “Enter” button. The buttons are not labeled, but using the menu was very intuitive. Turning it over, there is a JR module slot and a battery compartment. It was very good of FrSky to include a JR slot. This way you can run your Spektrum receivers and even the toy quad receivers without any issues. There’s also always a possibility to expand it. The battery compartment is where I’m a little miffed. 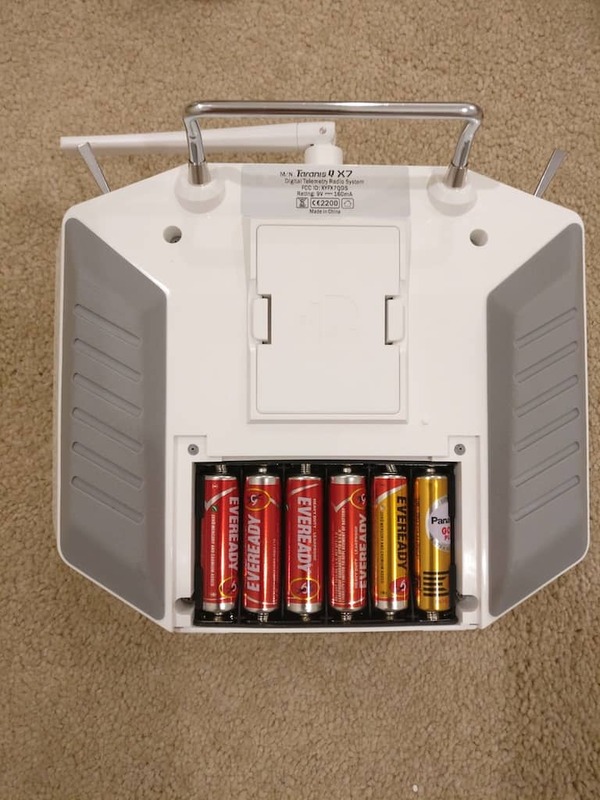 The Taranis QX 7 takes 6 AA batteries, which I know from previously owning a Turnigy 9X will run out fairly quickly, and the battery bills will stack up. You could use rechargeable AA batteries, though. Since this was a borrowed radio, I didn’t want to remove the battery casing – but if you’re up for the DIYing, you can remove the battery casing, solder on leads, and stick in a thin 2 cell lipo. Note: I have since found a 3D printed case that fits in the lipo tray that you can use 18650 cells with. 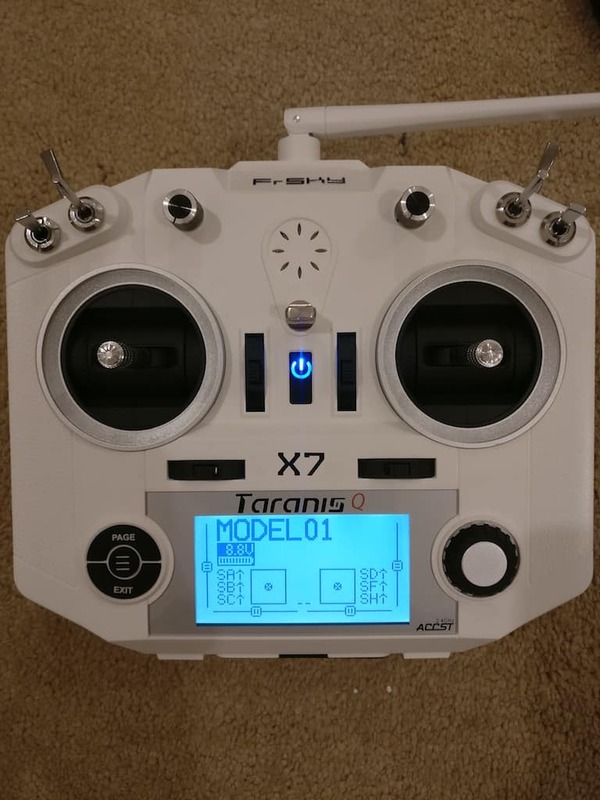 For more info check out my post on Taranis Q X7 mods. I really like the rubber grips. They felt very comfortable in my hands, and were positioned very nicely for my fingers to rest on. The radio powers on by holding down the power button, and a cool blue LED lights up when it turns on. 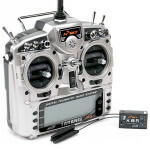 The unit I received came with Open TX 2.2.0, so Taranis X9D users will be familiar with the interface and menus. Playing with the scroll wheel was fun, and it seemed very responsive. The buttons were also very tactile and were nice to the touch. There’s a speaker in the center which only beeps for now, because there’s no voice pack installed by default. Open TX 2.2.0 voice packs are easy to find(or make yourself), so that is not an issue. There are 6 switches and 2 pots, which is honestly more than enough for most multirotor pilots. Fixed wing pilots may miss the side sliders, which have been omitted in the QX 7. The antenna is fixed, like the Taranis X9D, and can lay flat as you see in the picture or be vertical. I did not open the radio myself(borrowed), but I’ve seen a picture of it opened up on Oscar Liang’s blog and the radio is connected with a U.fl connector, so you could presumably mod the antenna to a higher gain one. The model I received had both sticks centered, and the left stick seemed a little tighter than the right one. That’s not an issue, since the stick tension and centering can be adjusted by opening the radio and loosening/tightening a screw on the gimbal. This is actually really good design, because it eliminates the idea of buying a mode 1 or mode 2 radio – these are just mode default radios and you can customize the sticks however you like. Because of the wider body, I was suspicious if I’d be able to use the gimbals comfortably(I like to hybrid pinch), but as you can see in the picture below, I was quite comfortably able to rest my middle finger on the rubber on the back and pinch the sticks. Holding the radio with both hands and pinching was comfortable, and I don’t think I’d have any problems flying with this right from day 1. If you are a thumber, it still works fine! I rested my index finger on the rubber, and was able to get a solid grip on the stick with my thumbs. The throw on the sticks seems marginally less than the throw on the Taranis X9D sticks. As far as smoothness is concerned, they were very nice and buttery. The right stick was a little resistant, but that can be adjusted using the screws, as I mentioned above. 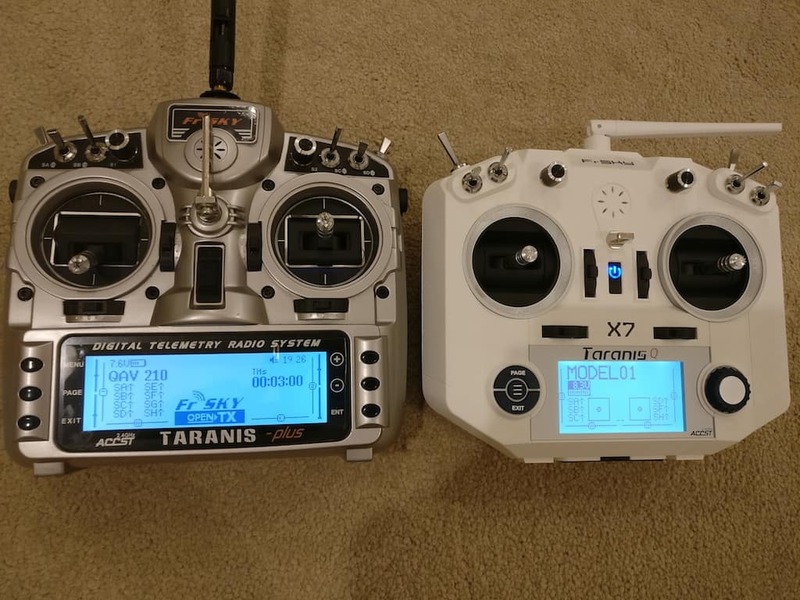 The two pictures below are the Taranis X9D and the Taranis QX 7 side by side. As you can see, the X9D screen is of a higher resolution than the QX 7(naturally, because the QX7 is also smaller). That’s not a game changer, but the lower resolution was quite evident in the pop up screen. The headphone jack and the trainer port are on the shoulders of the QX 7, whereas they are on the bottom of the back of the X9D. Finally, the USB and SD card port on the QX 7 are under a rubber cover on the bottom of the radio. There are also two less switches than the X9D. 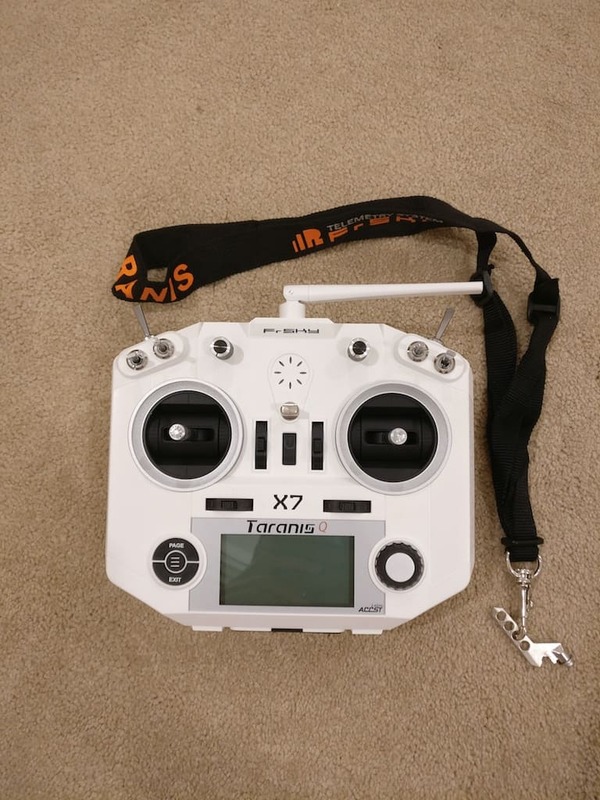 If I was just coming into the hobby, and I had a choice between a $220 Taranis X9D and a $120 Taranis QX 7 that did pretty much the same things as the X9D, I would go for the QX7, eyes closed. Unlike other budget radios, this one will grow with you. You don’t mention which type of receiver is needed for the QX 7. Is it PWM. Are there any telemetry options? 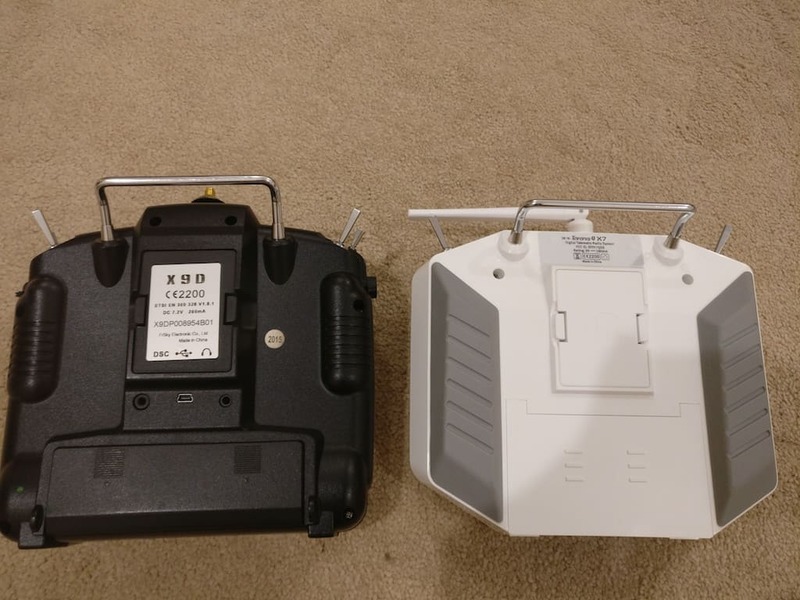 You can use any FrSky receiver – D or X series. 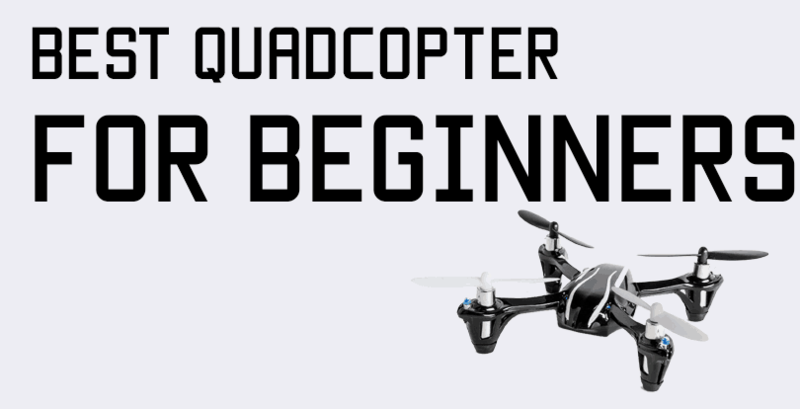 For a miniquad, you’d want to use an X series because it has SBUS. You can also use older PWM or PPM receivers, but there’s no reason to. 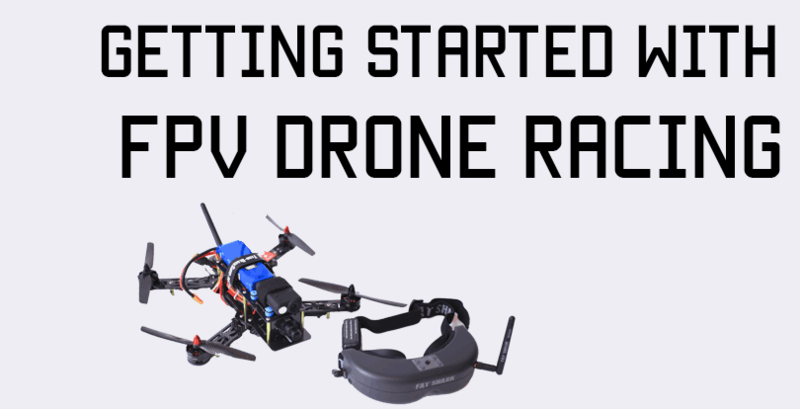 Check out the R-XSR or the X4R-SB – both have telemetry.